Why two Cultures? Each JUN is intended for a 1-Gallon Batch the first time. So if you want to make a 2-Gallon Batch right away, or make Two 1-Gallon Batches right away, or want to start a JUN Hotel and a Batch Brew, or if you want one for a friend/family member...there are so many reasons to want 2 JUN Cultures!! Real USA grown raw honey from KKamp, use 8oz per gallon of JUN, ships free with your JUN culture! If you need a high quality glass vessel for Batch Brewing or even a Hotel, we've got you covered. The included thermometer strip(s) offer convenience and accuracy and will stay attached once applied, even through the dishwasher. The strips let you know if the brew is in the right temperature range for brewing success, or if a heating solution (click for more info) may be needed. 70-80°F (21-27°C) is the best range, 75°F (24°C) is ideal. TRUST YOUR GUT™ Living Cultures! Live JUN cultures are currently available for worldwide shipping!! Batch Brew JUN Tea Kit? JUN cultures and Kombucha SCOBYs look similar but thrive on completely different substrates. So if you've been looking for a culture that's adapted to thrive on raw honey and green tea at a lower temp with loads of fizz - then you've found it! Each fresh JUN culture is sized for a one gallon batch and is packed in 1 cup of strong starter liquid, which is simply mature JUN. Use the entire contents of the bag to make the first brew. There is no need to add vinegar or anything else to this culture and liquid, just follow the included instructions. Looking for a high quality loose leaf Green Tea for brewing JUN? Select a bag or more of our delicious Green Goddess blend from the drop down menu (optional). Each 4oz bag is individually packed for freshness. Upsize to 1lb for the best price and receive 4 bags, about a year's supply if making a gallon a week. This is the same tea blend we use to cultivate our JUN farm! Authentic JUN cultures feed exclusively on RAW HONEY (optional add-on). JUN cultures are uniquely adapted to work with the host of bacteria and other organisms present in raw honey. Based on testing we've conducted, our cultures are not able to ferment sugar as it leads to off flavors and poor culture growth thus demonstrating that these are authentic JUN cultures! These are NOT simply Kombucha SCOBYs grown with honey - they are a discrete culture with its own benefits and flavor profile! JUN is often very fizzy. Use caution when bottling as they are typically more carbonated than Kombucha and bottles may explode. Storing in a closed box or cooler will prevent messes and keep you safe in case of an explosion. 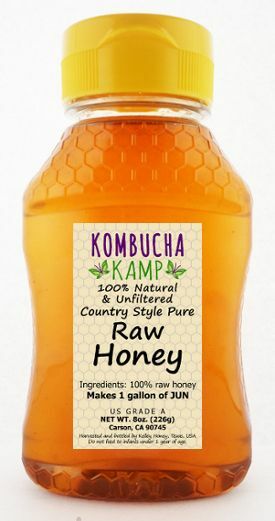 Kombucha Kamp's JUN cultures are raised in 100% raw honey and 100% organic Green Goddess tea blend. Web & Client preferred support - Facebook, KommUnity, Forums, E-mail: pick your preferred way to get answers and we'll be there to provide them! Add a 2nd JUN Culture for only $25! - Why two Cultures? Each JUN is intended for a 1-Gallon Batch the first time. So if you want to make a 2-Gallon Batch right away, or make Two 1-Gallon Batches right away, or want to start a JUN Hotel and a Batch Brew, or if you want one for a friend/family member...there are so many reasons to want 2 JUN Cultures!! 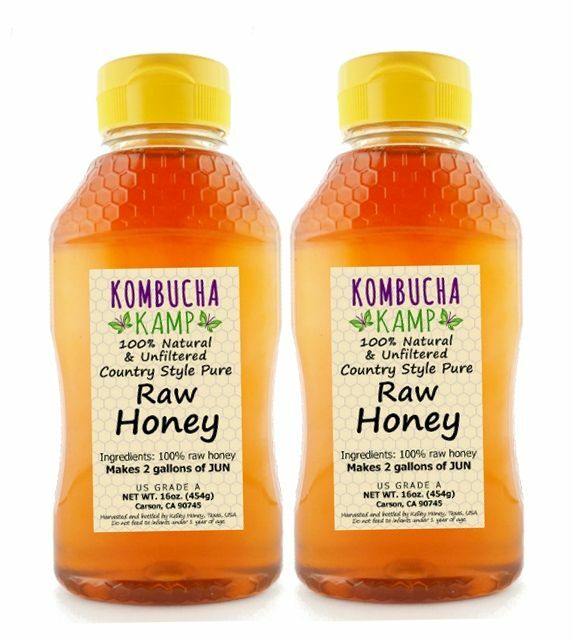 Add USA Grown 100% Raw Honey - Only RAW honey should be used with genuine JUN cultures, and KKamp's 100% Raw Honey is sourced right here in the USA. Use 8oz per gallon for the best brew. Add a USA Made 1 Gallon Glass Jar...or Two! FREE Thermometer Strip(s) ($4.95 value each!) make this a great value, all with FREE SHIPPING! (in the USA) - If you need a high quality glass vessel for Batch Brewing or even a Hotel, we've got you covered. The included thermometer strip(s) offer convenience and accuracy and will stay attached once applied, even through the dishwasher. The strips let you know if the brew is in the right temperature range for brewing success, or if a heating solution (click for more info) may be needed. 75-85°F (24-29°C) is the best range, 80°F (27°C) is ideal. Prefer to brew with regular sugar or pasteurized honey? 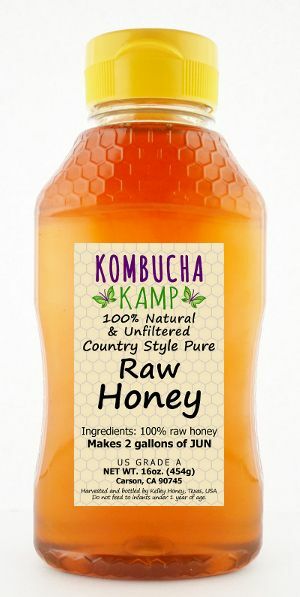 Try a KKamp Kombucha SCOBY instead! My JUN culture arrived plump and healthy. I have made 2 batches now and am very pleased with the result! I finally decided to take the plunge and try Jun, and where else would I go but Kombucha Kamp? The SCOBYs and starter liquid went to work vigorously and I am now delicious results. The Jun scoby I received was huge and worked beautifully! I have been brewing kombucha for a while and was thrilled to learn about Jun. I love the taste and thankful for such a healthy culture. Ordered my Jun Culture with Scoby and starter a few weeks ago and have been delighted. You make it so easy by including such good instructions and a healthy Scoby. Made brewing Jun a breeze and the Green Goddess tea made for very smooth and tasty Jun. Great product and service. I recently purchased a JUN SCOBY and am still brewing, but the SCOBY is beautiful. When you receive it, it looks so healthy, white, and it's in enough starter liquid. I had some questions regarding brewing, I am a first-timer, but KK Customer Service is the Best! Very helpful and they don't make feel dumb for asking simple questions. Let KK be your go-to for all your Kombucha supplies. I ordered 2 JUN SCOBYs which arrived within several days & in excellent condition. First brew was 1 SCOBY to 1 gallon of liquid. 2nd brew was 1 SCOBY to 1 1/2 gallons & 3rd brew was 1 SCOBY to 2 gallons of liquid. These & all subsequent brews have been excellent. Great products & very helpful support. 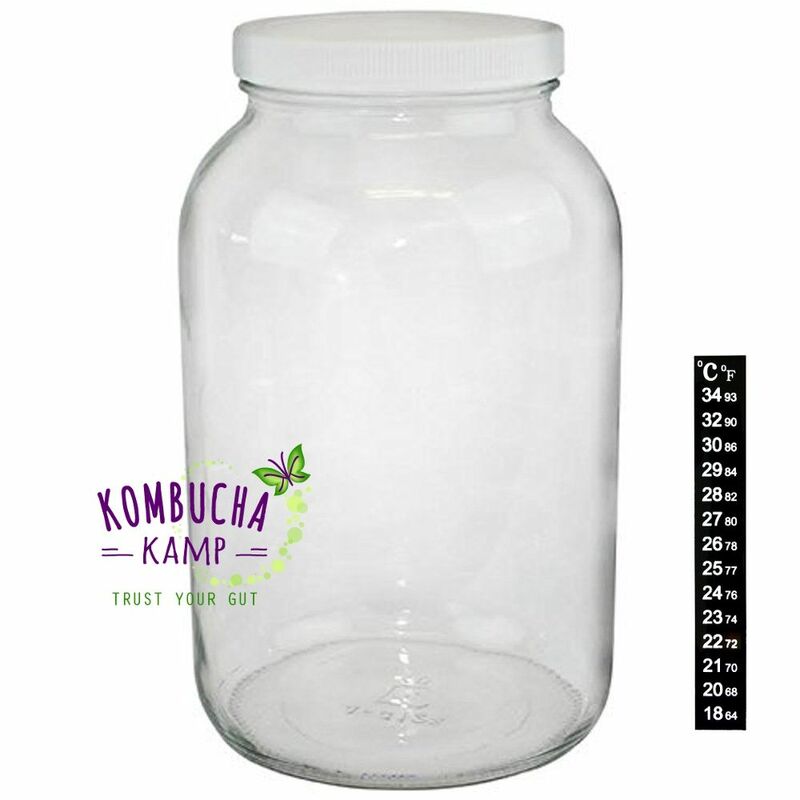 This is my first Jun culture, I've ordered quite a few Kombucha cultures and I love Kombucha Kamp. Hannah is super helpful and the recipes are very clear. The cultures are in great shape always and make the best Jun! I love this Jun even more than kombucha, nice flavor! We became beekeepers a couple of years ago and this is such a good way to use the honey. Thank you again for following up with me to get a fresh Jun culture when mine molded. I'm off to a good start, have new SCOBY growth and about to increase volume again on the Jun culture, so off to a successful start. Thank you again! I've been brewing with the Jun culture that I ordered from KKamp for about three months now. I cannot say enough! It's been a blast brewing Jun kombucha. The products are 5 star, the service 5 star, their web page is very detailed, 5 star! The best problem I've had is deciding on what flavor to do a second fermentation with. Thank you Hanna! I started making Jun a few months ago. It is very tasty, especially when made with dried rose petals, which is absolutely divine! 💗💗💗 I give bottles of it as presents to my friends! I am doing my second fermentation of Jun and have a batch of continuous jun fermenting now. The instructions are easy to follow and the cultures are multiplying nicely. I'm very happy with my purchase from Kombucha Kamp! I would recommend Kombucha Kamp without hesitation. Hannah would personally respond very promptly via phone or email in response to any queries and concerns I had. Even though I ordered the Scoby in the cold month of February , the Scoby I received was very healthy. At the beginning of the process I was concerned that my Scoby had developed mold and sent Hannah several emails. She personally responded to every query promptly, pleasantly and was very helpful right through. Every time I have brewed a batch the Scoby has produced beautiful healthy babies. My regret is not getting some extra Green Goddess tea and I would recommend anyone purchasing a Jun get some extra tea by purchasing Hannah's green goddess which really gives the Jun a wonderful taste. I live in NEW ZEALAND. This is a LONG WAY to ship a culture. The Jun culture arrived IN FANTASTIC SHAPE. It probably grew in transit so was fairly large when it arrived but it has made wonderful Jun. I literally couldn't find anywhere in the southern hemisphere from whom to buy a Jun culture. THANK YOU KOMBUCHA KAMP. Received my Jun scoby last week and just tested my first batch of Jun after fermenting for 4 1/2 day. It is absolutely delicious! I haven't even done a second brew with flavoring yet - and not sure I will! The brew is sparkling, beautifully mild and just plain YUMMY! I ordered both Jun and Kombucha scobys and a 2nd of each as back ups. Due to the quality of the mama scoby you provided I now have a gallon of tea with a very robust baby scoby on the surface. It was a bit of a layout of money, but feel I will make this up in a short time as my husband and I each drink a Kombucha (store bought) for $2.50 daily! My daughter bought a dehydrated scoby from a local health food store and after a month, still doesn't have a nice sized, healthy appearing scoby. I plan to give her my 2nd scobies (bought at reduced price when buying first from you). I am confident I can grow many healthy babies with ease. Thank you for a quality product that allowed me success right out of the gate! I will check back after my first Kombucha batch is ready! Very nicely packed for international shipping, arrived fast and in very well condition. I'd never tried Jun so I didn't know what to expect, really. I've made a lot of kombucha, but because of the beautiful, sound SCOBY I got from KK my first taste of Jun instantly made me a Jun lover. Thanks, KK! My daughter was over for the holidays and tasted my jun, she was amazed on how much better my brew was vs. the ones she purchased in the store. I decided so surprise her and purchased this scoby so she can have her own jun on tap! What a beautiful SCOBY you sent me. The first time baby appeared after just 7 days. Thank you. :) Jun tastes great. Thank you for your thorough information! The instructions I received with my Jun are great. Today, I saw that I had black stuff in my brew. I went on your website and found many pictures to compare to my black stuff. I was easily able to conclude that my black stuff was yeast and no problem. Your descriptions and pictures are fantastic. Thank you! I am early in the brewing process, but have full confidence that I will brew tasty jun with this culture for years to come. The KK team has been incredibly helpful promptly and thoroughly answering my questions. The culture arrived well packaged in a timely manner. Service was fabulous and so far the JUN culture has been successful! I’m recommending this to anyone who asks. I have received the ordered JUN-Scoby in good condition and am looking forward to seeing the results of the brewing. For your orientation, I have brewed Kombucha since 1998. I have nothing but praise for KK! The cultures received have been excellent and the resulting brews ( I’ve made both Kombucha and Jun, preferring Jun) have turned out very well! This is the best resource for your brewing supplies and for great support also. This is such an amazing, high quality scoby! I have had successful batch after successful batch of jun tea, and have even been able to grow new ones! The directions are perfection, were easy to follow, and made my heart dance. The jun tea has made a huge positive impact on my health. I call it my magic elixir! Hi , I would like to give 5 stars for the jun culture! It is great and it arrived very fast. I live on a remote island in NW BC Canada , so was very impressed with the speedy service as well as the product . I will tell my friends about Kombucha Kamp. I previously ordered water kefir and kombucha cultures which also arrived very quickly and have proven to be awesome . I have made many bottles of wonderful and healthy drinks to share with my family and friends! Thanks for providing great products and service. I love my Jun Scoby. I've had it for almost a year and have given away baby scobies to others who are now brewing Jun as well. So delicious. It ferments quickly and has a milder flavour than kombucha. I love your website with all of the information and products you provide. Everything iI have purchased is good quality and sent promptly. I am having fun with my Jun scoby and the great instructions that come with it! I am on my third batch and have started flavoring. I am still working on carbonation on the 2nd ferment. I am planning on starting my Jun hotel after this batch. My favorite flavor so far has been the elderflower even though we have elderberries in the yard and have used them. I have tried many and various different flavors to add a little extra fizz... before refrigerating a spoon of honey works. My husband has been a brewer for many years and we are about to try adding hop flavor to a few bottles of Jun. Your operation gets a 10 or 5 stars. The Jun scoby is a gem. The first batch out of the box was fizzy and delicious, and after a dozen and more gallons, it is still going strong. Made with Green Goddess tea, the flavor is much milder than kombucha and more to my liking. The only downside to Jun tea, in general, is keeping up with the cost and supply of raw honey, but we mustn't blame poor Jun for the high price of high quality sweetener, must we? I am thrilled to have a probiotic drink that doesn't use cane sugar or dairy, so there really is no downside, to me. And by the way, while your Green Goddess tea blend makes Jun happy and hard working, it is also delicious straight out of the teapot, hot. I have enjoyed making KT for some time now. My sister told me about Jun. After some reading I decided to give it a try. I am not disappointed. Taste is subjective but much prefer Jun over KT. I also like the shorter fermentation time. My scoby arrived quickly and I have already made two batches. I was Blessed to talk to Hannah personally to order my Jun Culture and 8oz Green Goddess Tea Blend. All products arrived quickly and my Jun Culture was thick and healthy! Started my second batch and it has already produced a baby! Five stars! The JUN scoby arrived safely in its package and hung around my house for about a week until I was ready to brew. Since then I've made three batches using the easy-to-follow and very thorough instructions that were included. I have been drinking store bought kombucha for a while now and really enjoy it. I read about jun at Nourished Kitchen and decided to try brewing my own. I received my scoby a couple of weeks ago and yesterday started my 3rd batch. It is deliciously and better than any store bought kombucha I have tried. And I made it! I'm enjoying my Jun kombucha. First time, but easy to make and tasty. I recently purchased a Jun Culture from Kombucha Kamp . Which was shipped internationally , it arrived on time which was great . Packaging was nice and kept my product safe . All instructions were very clear and made the whole process very easy , especially for a first time Jun brewer . I would also recommend anyone to buy The Big Book Of Kombucha !! Its my new bible and go to for any information tip and tricks . I feel Kombucha Kamp is a company that foremost have the experience and knowledge to help anyone in the aspects of the Kombucha world . Thanks Kombucha Kamp you guyz are awesome . Definite 5 star rating overall !! 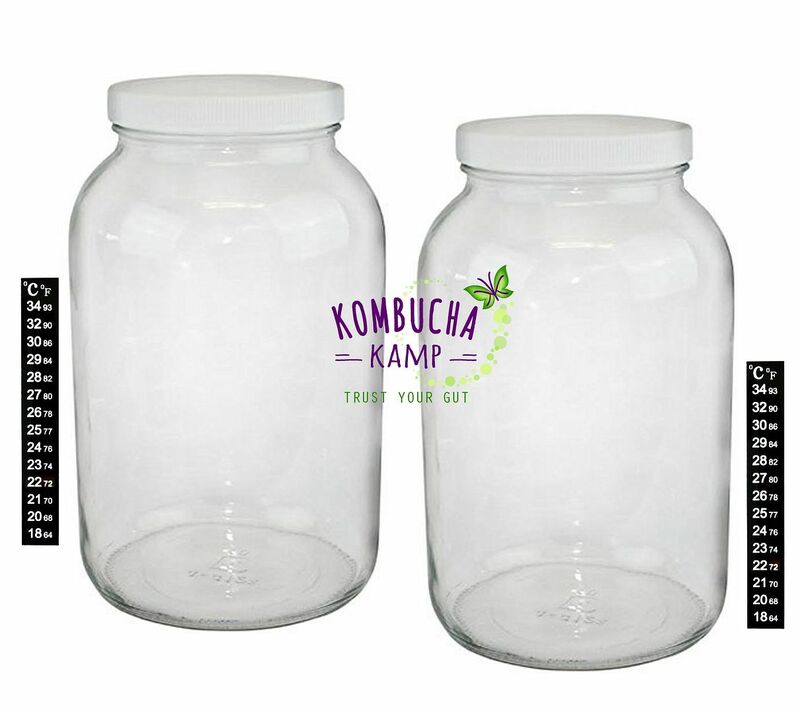 I just ordered 2 Jun cultures to produce kombucha in a 2.5 gallon container. The cultures were beautiful and I am already on my 3rd batch. I love the JUN Kombucha, it is light and crisp. The service is always prompt, and the cultures arrive in perfect condition. Thank you for making it so easy. Love it. I was really intrigued by Jun when I first heard about it. I had brewed KT for awhile and was eager to try the "champagne" version. I purchased a couple of cultures on another website and was extremely disappointed with the flavor of multiple brews. I also could not grow a new SCOBY after months of trying. I suspected the problem was the quality or authenticity of the cultures I had received. I decided to get a SCOBY from KK knowing it would be the real deal. I was pleased with the appearance and smell of the KK SCOBY I received as well as the tea sample and brewing instructions which were simpler than instructions I had found online. Once brewed, I finally understood the champagne comparison. After a month or so the culture produced thick and healthy looking babies that I was able to share with friends. I begin adding Elderberry syrup to my brews for a drink that resembles the taste of grape soda. I really love Jun now. I give Kombucha Kamp 5 stars. I ordered a Jun scoby and it is working out beautifully. The drink itself is wonderful. I have passed along scoby's and Kombucha Kamp directions for brewing the Jun. Way to go kombucha kamp, and I always tell people to order from you and only you. Ordered the Jun culture to change things up a bit! Soooo delicious! The purchase inspired me to raise my own bees! My jun tea has been delicious from the first batch and the "reproduced" scoby on each batch has been huge. Customer service is outstanding. Emailed questions are quickly and thoroughly answered. Thank You for the very nice products, I really like your Big Book of Kombucha! And just finished my very first Jun Tea Batch, it is Lovely! I am so thankful to you for providing such excellent quality SCOBYs. My first batch of jun tea is just finishing it's second ferment and it is delicious! I'm so relieved to report that it was not hard to make *at all* and the SCOBY was extremely hardy. I ordered mine to the east coast, traveled around with it and not only brought it on an international flight, but waited another week to make the tea and it still worked beautifully. I made four flavors: blueberry-clove, ginger, apple-cinnamon and plain. The colors are gorgeous and it's amazing for my digestion. Special mention of thanks for the fabulous and attentive customer service/phone calls. even internationally. Couldn't be happier. I received my Jun culture quickly and in good shape. Had a question on my 3rd batch. Emailed customer service and got a quick and helpful response. I ordered a Jun scoby in December to make sure I liked the taste before investing in a continuous brewer. With the first batch I was hooked - it is SO delicious! By the end of the month I ordered the whole continuous brewer set-up. All products came in a timely manner & Hannah was very quick to answer any of my questions. I've been having so much fun gradually increasing my batch brewing capabilities to satisfy my cravings while waiting for the continuous brewer to build up strength. I highly recommend this site for any of your brewing needs! I received my Jun SCOBY's promptly and in excellent condition. Well written and detailed information on the "how to" of Jun making was included. We are bottling our second batch today. Jun is different than kombucha in production time, taste and probiotics. For our family, it has been a wonderful and yummy addition. I have been so happy with my Jun! I ordered it in the middle of a Michigan winter, and it arrived promptly and in perfect condition. It is a perfect culture to brew in a colder environment because it prefers a slightly cooler temperatures compared to KT. In spite of warnings that the Jun culture does not reproduce as fast as KT SCOBY, the one I got here at Kombucha Kamp started making babies quite quickly once established! My Jun struggled a bit with a move to the Chihuahuan Desert in the middle of summer, so if you live in a very hot environment you may want to find a way to keep it cool. Lovely and Delicious! I have previously ordered SCOBY's from other vendors on Amazon and the SCOBY I received from KK is the absolute BEST, healthiest, beautiful SCOBY I have ever seen! It may have been more expensive than all the others I purchased in the past, but I would order from KK again and again. Totally worth it. Thank you!!! I promptly received my Jun SCOBY in November. I have now made 4 gallons of honey brewed Jun. I am very pleased with the results. I had never heard of Jun. I was just on the site perusing around one day and after reading about Jun, I decided to order a scoby. I am several batches in and my scoby is big and beautiful and creating beautiful brews every few days! My husband has even given up soda with the addition of this, kombucha and water kefir! Love these healthy products. Thank you for providing quality cultures! My scoby sure loves my local, raw honey! I give the Jun culture 5 stars. Have already made several batches and my scoby has quadrupled in size, as well as produced several new baby scoby. This is my first time brewing anything and I am so relieved at the ease of this process. Thanks for providing such quality products. My Jun culture arrived promptly, in good health, and was packaged superbly! Customer service is fantastic. I had a question about my culture and received a quick, helpful response. Would absolutely use KK again for all my brewing needs. I received my Jun culture about a month ago. I am ready to bottle my third brew and I am very pleased! I like the lighter taste and the fizziness of Jun. I also brew regular Kombucha (culture also purchased from Kombucha Kamp). I think I prefer the Jun because of the shorter ferment time and my kitchen tends to be on the cooler side. Either one tastes great and, after water, is my drink of choice! I had previously been brewing with a Jun SCOBY I purchased from someone on Craigslist.. After a handful of batches, my Jun had this nasty funk to it and the SCOBY was really out of balance with big nasty strings of yeast that were ruining my brew! My new Jun SCOBY from Kombucha Kamp is AWESOME! I'm already on my third batch and can really tell the difference. The taste is unbelievable and my gut is really thanking me for not giving up after my last culture. My new SCOBY is so big and healthy and I couldn't be happier. I couldn't be happier with the healthy and fascinating Jun SCOBY I received from Kombucha Kamp two months ago! If you're wondering whether or not you should take the plunge and order a SCOBY -- stop thinking about it and just do it - you will never regret such a valuable and health-changing purchase! I've shared my Jun with so many friends who were reluctant to try it, but they were all surprised they enjoyed the delicious beverage so much. It's a great substitute for cider, beer or sugary sodas, and your body will thank you :) I thought it would be difficult to brew, but Hannah's printed instructions that came with the SCOBY were amazingly clear and easy to follow - thank you for helping me make this life-changing addition to my daily routine! The jun culture arrived quickly and is brewing beautifully. We have already brewed several batches of Jun Tea with our culture and our entire family LOVES it. We continue to experiment with flavoring and the secondary fermentation, but both are optional as far as the fam is concerned! To top it off, we already have a baby Jun that we're nursing. So much fun! Thank you! Simply delightful - friendly efficient high energy service and beautiful luvly jun muvva! I am new to the world of fermentation so am still experimenting. I am having a little trouble discerning all the subtle tastes that others talk about. Maybe I just need to give it some time. I am not confused about recommending Kombucha Kamp. Such good service and strong support and encouragement. Best of all, the scobys (my Jun and my Kombucha) were healthy and ready to go. The Green Goddess Tea is the best. In the process of finding Kombucha Kamp, I stumbled across their Jun culture (what I've since learned is actually the Anglocized version of Xun—pronounced with sort of a chx/zh up toward the back of the throat, but torqued forwards and downwards—the Chinese word for emergent life, aka "microbe", as with fermentation) and was certain it would be even healthier than kombucha and that its considerable extra cost in raw honey would prove justified. It has exceeded my highest hopes. Kombucha Kamp was helpful and accommodating in facilitating a swap of the Xun cultures for kombucha ones with my kit. I had expected little to no SCOBY growth so am delighted not only did it yield a lot but that the new growth proved viable enough to drive single-handedly the fermentation of a full batch from a near stand-still of just 3 cups of starter liquid at break-neck pace the equal of a full rolling batch 2/3rds full of mature tea's typical timeframe! I received my Jun Scoby 8 days ago and just bottled my first brew. It is delicious and my Scoby has already created a baby. I left about 20 percent in the container and have set up what I hope will be the next batch of a more or less continuous brew. The entire process was very easy. When I was making Kombucha, i always added about 20 percent blueberry juice after the brew was finished. Once again Kombucha Kamp makes our home a better place. Jun culture arrived carefully packaged. Thick, inflated bags cradle the beautiful scoby during transport. The scoby itself is easily 3/4" thick and 8" around. It's very healthy looking. The product of a loving home :) Starter liquid keeps the culture hydrated. I just started my first batch so I cannot speak to the taste produced by the scoby just yet. I'll leave another review after I get a few brews under my belt. My Jun scoby arrived quickly and in perfect condition. I've successfully brewed multiple batches (KK's instruction sheet is fab) even though my home is cooler than recommended. My family is enjoying the mild, smooth flavor and prefers it to the robust flavor of Kombucha. Great company - great product! This culture makes super delicious and bubbly kombucha! !I absolutely love it! I have a 2 gallon CB of it as well as a 1 gallon batch brew. The taste is out of this world--like a dry champagne or riesling wine!! Bottle flavoring with fresh ginger and mint has also turned out superb! I highly recommend Jun kombucha--I can't get enough of it!! Ohmigosh! My order for a Jun culture and tea arrived quickly and well packaged with easy to understand directions. The scoby was robust from the get-go and has given me numerous batches of jun tea (as well as scoby babies). All of the information and videos on the web site are also super helpful. Thanks Kombucha Kamp! I did recently purchase a couple bags of Green Goddess Tea, a Jun SCOBY, and a couple 3" tea balls. The only thing that I have negative to say is that the tea balls were made in China. But maybe we do not manufacture tea balls in the USA, but if we do, I think the option should be made available on your web store site, even if it a significantly more expensive option. The Green Goddess tea is really good in Jun, and the large tea balls are working perfectly. The delivery, packaging, and health of the Jun SCOBY were all perfect. I also own your Big Book of Kombucha, and I have learned so much from it. I am a basic brewer but this book is full of so many little details that I was overlooking. I think it would have taken me a lifetime of trial and error to figure out all that you have covered in the book. The book really helped me to dial in on my processes. It's embarrassing how much I was not considering, and I am a technical guy. I have made several batches of Jun now and it's clearly a very high quality brew. I think it's really neat how the brew retains those subtle notes from the honey and incorporates the clean but tart green tea flavors. I prefer longer brew times than traditionally suggested for Jun, I have been going 5 to 7 days at 75F and judging by flavor. The biggest variable seems to be ambient temperature. I have played around with all kinds of 2nd ferment flavorings, several are nice, but I am leaning closer to just bottling without flavoring, or with maybe a slice or two of fresh ginger. The natural essence remaining from the honey is so delicate and nice that it does not seem right to cover it up or dilute it in any way. I would be interested in trying some of the more popular way of flavoring Jun via 2nd ferment. Jun is really not discussed in the big book. I am going to try a couple bags of "Hannah's Special Tea Blend for the Perfect Kombucha" next time I place an order. I have been mixing Oolong and Black and trying to get the flavor optimized, based on how good the Green Goddess is I suspect that you probably have the Kombucha blend optimized too. I would really like to give you a 4 out of 5 due only to having 3" tea balls manufactured in China. But I do not know what options are available to you. So I have to give 5 of 5. Received the Jun culture along with the Hannah's Special Tea Blend within a few days in a great condition. Brewed successfully from the first batch. Absolute love the taste and fizz of the ginger, strawberry and mint KT. Excellent products and services. Thank you very much, Hannah! I received my jun scoby and I must say it is the best value by far. Don't go anywhere else to get your scoby, this place is the bomb. The service and delivery to Canberra Australia was prompt and will definitely purchase again. I received my Jun scoby just a couple of days after ordering it, same with my initial kombucha scoby and set up! All in perfect condition. My very first set up was 4/10/16 of kombucha and with such excellent instruction and fantastic Hannah's Special Blend tea my tea has been awesome and so easy in my continuous brew system. My Mother scoby is growing by leaps and bounds. Of course we have been drinking more than one continuous brew can handle on its own I started reading about Jun and needed to add to my set up so decided to try that next. 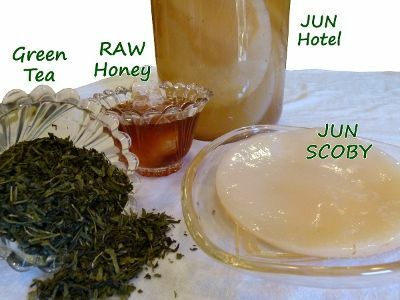 I was lucky enough to talk to Hannah personally to order my Jun scoby and Green Goddess Tea Blend. I had just purchased my raw locally grown honey in anticipation of my new scoby. I completed the set up by 5/5 and already today, 5/9, I have a thin new baby and the Jun tastes incredible! I plan on letting it go for a couple more days then do my second ferment with blood orange. I am so delighted to have found Kombucha Kamp and their wonderful cultures and supplies. I know some may feel it is a little too expensive but you definitely get what you pay for. I had looked other places but the quality was not as good and neither was the support. I will definitely buy again from Kombucha Kamp and also highly recommend Hannah and Alex's book "The BIG BOOK of KOMBUCHA", you will not regret it! This afternoon I put together my 4th batch of Jun Tea, since buying the SCOBY from you.. I have successfully recanted 18 16- oz. Bottles. I love the mild taste which reminds me of a a dry champagne. The carbonation is a delightful miracle! I am having fun, loving the results and marveling at the new SCOBY that has developed already. Thank you for being so full of and generous with your great wealth of information. I bought the book after succeeding with my first Bach of Jun. It is well written and will be a family treasure for generations to come. I purchased my first and only Jun culture here at Kombucha Kamp. Over a year and a half ago. It has proven to be very prolific and has provided me with countless bottles of Jun. I've had to give cultures away because I had so many and was not sure what to do with them, but now I have the BIG Book of Kombucha and can make beauty products, to pickles! I haven't had to purchase any more since my first. I was also told Jun is not kombucha they are two different types of fermented teas. I highly recommend purchasing from kombucha Kamp, I have always received kind support and help when in the middle of a meltdown. These guys know their stuff!?! My continues brewing set up for my Jun Kombucha is working like a charm! I have a new daughter waiting to move to her Hotel. I have flavored with ginger & peaches love the taste and the fizzzzzz. My house has a lovely aroma. I received my Jun scoby within 3 days after purchase and it's amazing! The Jun culture arrived big, healthy, and it has produced babies every batch since I've started using it. If you prefer the taste of green tea over black and are interested in making your own probiotic drinks, this product will definitely not disappoint. I would buy this again in a heartbeat. I set this up next to my Kombucha batch, it has created quite some enjoyable diversity in our kitchen. I think my fiance prefers it to the Kombucha. Its got an such ever soft feel to it, while still providing the zing my mouth enjoys. My first, second ferment was not great, (pineapple, ginger) but have found blueberry ginger to pair really nicely with it. I'm excited for the endless flavor combinations with different teas, honeys, herbal, and fruit combinations. JUN culture came very quickly and with great instructions. I am a pretty devoted kombucha drinker, and I am really loving the different flavors in the JUN. I have set it up in a continuous brew container, and I am loving that in my cooler kitchen it is making great tea! My jun got held up a while in customs (just over 3 weeks in transit), so I was afraid it would be damaged/dormant when I finally got my hands on it, but it was fine. I've had a few babies growing since then and have been able to start a hotel. Great jun! Top notch! I am a novice Jun Tea brewer, but the scoby arrived in fantastic shape, despite low winter temperatures in Alaska. My very first batch came out flavorful and wonderfully carbonated. Thank you for the detailed brewing and bottling instructions. I am a repeat customer and love ordering from Kombacha Kamp. I would go no place else!!! I have made only a few batches of the jun and so far am quite pleased. The culture as always came fast and very well wrapped up with no chance of leakage through mail. This business really has it together. I am looking foward to another item that I can purchase. Thanks so much! The SCOBY came in perfect condition quite promptly. As per usual, I am impressed with the quality of the products here and the support for making great brews! Thanks. Now I don't have any other Jun scobys to compare mine to, but needless to say it is super quality and PERFORMS in my beginner's hands, cold kitchen, and got shipped super fast. Watch out, first time jun tasters: when I tasted mine first it was difficult not to drink the whole gallon at once! I would like to give my Jun culture 5 stars. It arrived quickly and extremely healthy. I had purchased a culture from another site for a lot less money but you get what you pay for, as it was not healthy, a fraction of the size of the Kombucha Kamp culture and did not produce any babies. Now, my Jun is going strong and I have several baby cultures in my scoby hotel. Thanks for the outstanding culture! The Jun culture I received was very robust! It was well packed and the instructions provided made brewing my first batch of Jun easy peasy. The Jun scoby is growing beautifully. Jun has a lighter taste than kombucha and a bit more fizz. I love them both and it's nice to change things up. I received a very thick and healthy looking JUN kombucha and was impressed with the packaging (2 bags, one inside the other) as well as the detailed instructions provided. I brewed and the result was a very fast and delicious JUN kombucha that outpaces the regular kombucha. I have already gifted many to friends and have obtained a batch a week very consistently. It just keeps on growing. I love kombucha but thought I would try Jun as our house temp is on the cooler side. I also ordered the heater for the current winter months. All items arrived quickly and with no problems. JUN took about 3 weeks to completely fill the top of the crock. Really fun to watch. Taste is very refreshing. Trying 2nd fermentation with ginger, blueberries and thai basil. Ginger and blueberries alone are really good. Amazing! Jun arrived safe and sound and it only took a bit over a week in my cool kitchen and my first batch is delicious! A superb Jun culture...travelled all the way to UK and though maybe was stressed by journey, loves her new environment and green tea and British raw honey life. I'm glad I tried the Jun scoby! it's super. It is smoother and not as pungent. The shipment arrived quickly and was ready to go. On my 4th brew, brewing at my house temp which is no higher than 63F during heating season. Takes 5-6 days but still works. Good stuff! Not sure I'll continue with it because the honey is so expensive, but a nice flavor, love the bubbles, and like that I don't have to do special heating like for my kombucha (which I also brew with green tea). Also--great packaging, instructions, sense of humor. My Jun culture arrived as advertised. During the first batch of brewing nothing seemed to happen, did not get the taste that would indicate I was ready to bottle. I contacted Kombucha Kamp and received a prompt reply along with it some invaluable links. I warmed my jun with some seed starting mats and that's all I needed to do. After 2 days I bottled with lemon and ginger and the best carbonation occurred. Bottling a new batch today, now have 2 nice SCOBYs to house. Thanks again Kombucha Kamp! Taa Daa! It worked the very first time. The instructions were so easy to follow that the Jun was good the very first time I tried to make it. Now I have a big fat SCOBY. Great product.. great service ! Thanks!! Very large and thick, healthy culture. Packaged well. Brewed a couple of gallon batches so far and it's delicious! This culture is robust and beautiful. It produces a lovely Jun tea each time and I've had only great success using it. Love kombucha Kamp cultures! So excited for my Jun culture! Thank you for the free tea bag and the re-assuring instructions. I can't wait to try! Thank you for such a wonderful product and speedy delivery! I love y'all so much I am about to order more! Thank you so much for the personalized order (shows a human runs the operation) and sample of green tea; it made my day! My culture is doing beautifully and cannot wait till it is ready to drink! I am a teacher too and I plan to have my summer school class grow some too (and study it under the microscopes- how fun :) ). Have a beautiful and blessed day! My jun scoby arrived and I started my first brew right away. I love the taste of my jun Kombucha. Thank you for the support and I enjoy watching your videos, they are very informative. Happy brewing everyone! I trust Kombucha Kamp. I have ordered Kombucha cultures before. My Jun culture I ordered came with an easy recipe that produced tasty JUN my first brew. My Green Goddess Tea that was recommended to create the brew is lovely. I am once agin SOOOOOOImpressed with the Live Happy Cultures KK and Hannah have to offer!!!!!!!! My Jun Culture is Beautiful!!!!!! Thank You so Much!!!!!!!! !I was so Impressed With My Kombucha Continious Brew System and My Jun Culture I just ordered your Water Kefir!!!!!!! Arrived fresh and healthy in a well sealed container. The taste of the finished product is milder than kombucha and I perfer the taste. My Jun SCOBY arrived happy and healthy even though it took the local post office almost two weeks to process! (I live in the UK...) It started reproducing from the second batch and has been producing a new Jun baby every cycle since. Not having had either Kombucha or Jun before, I wasn't really sure what to expect, but I absolutely LOVE Jun tea; completely addicted. It has a wonderful taste - ever so slightly sour, but you can still taste the honey and green tea, so altogether a winning combination. I also love the fact that it feeds off honey and not sugar, which makes me feel like I'm doing my bit for the bees by supporting raw wild/organic honey. Kombucha Kamp have been wonderful supporting me through first-time brewers panics and have quickly replied with valuable tips to all questions I had - I would recommend Jun from KKamp to anyone! You get what you pay for. Excellent packaging, great customer service, and cleared customs quickly. My Jun took a batch or two to get used to its new environment and I received great prompt support! I received my Jun very fast and I can't believe how goog it taste! It's great because in the biginning you might need somebody to answer your question and Kombucha mamma can help us along the way!!! Hi there P & L Hannah and the good people at Kombucha Kamp! I am very happy with my entire experience. I ordered a JUN culture from you guys and it arrived securely, safely and fast. I have brewed 3 times and shared the Jun with a colleague at work who now wants to order a scoby. Great beverage and nice alternative to kombucha. I will not hesitate to order stuff from Kombucha Kamp again! WOnderful, high quality culture! And super fast shipping! Just letting you know that after a week I have a thin but nice looking Jun baby, I used just under 1 gallon green tea and 3/4 cups raw honey. Great tasting Jun too! I will always get my cultures from you because I trust they have been well taken care of. On my 4th brew with my KK Jun Scoby, and it's a relentless bacteria-producing machine! Our last batch was flavored with pineapple, ginger and bee pollen, and is a delicious, fizzy joy to drink. I harvested 2 scoby babies and moved them into a "hotel", as everyone who tastes the Jun begs for a scoby. Thanks again for the quality starter and all the awesome info on your site! I'm on my third batch of JUN and LOVE it!! Everything came in perfect order and quickly! Thankful for a great product source! Five Stars for sure on the ease of purchase and the quality of the culture. And the price was reasonable. I purchased the Jun culture from you, but did not order green tea, as I had some. So I was pleasantly surprised to see that you included a cloth brewing bag and a sample of green tea! That little kindness warmed my heart to my toes:) I'm usually privileged to meet Hannah at the annual Weston Price conference and it's so lovely to visit with you there in person! Thanks for providing great products and tips and recipes! My order came faster than expected. Nicely packaged and came with step by step instructions. My first batch was a success, produced a healthy baby Jun. 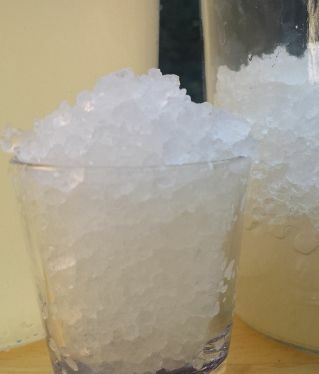 It was not as fizzy but my second batch produced a bigger Jun and was fizzier than the first. I am on my 4th batch now and I started my own Jun hotel. I also ordered the green goddess tea mix, loving the taste and the results. I ordered my Jun a few months ago & it has been thriving ever since. It is fizzier than Kombucha which we love. My teenage son who loves Kombucha would say he loves Jun more. Thank you for the healthy Jun culture & the information to begin brewing! I love the Jun! Prompt shipping, and great information enclosed. Thank you so much. My Jun arrived quickly in the mail. The Jun culture has been vigorous and started a hotel already. The original culture has produced a beautiful baby already in the hotel. Very please with the Jun, can't say enough good about it. The taste is wonderful. Fast shipping and the Jun scoby has been excellent. I'm pleased to recommend it. Wow can't believe the fizz, its incredible, brews beautifully. Jun is my new favourite fermented drink, love the flavour. Thank you so much, my order arrived quickly and was well packaged, great service. Love, love, love my jun. I got a crock and am doing continuous brewing. As soon as I see it is all going to work out well in my environment (jungly and not the most sanitary), I plan on getting a kombucha mother and have both batches going. Flavors I have made so far (all good in my estimation) poha (Hawaiian ground cherry) and ginger, poha and galanga, lemon and ginger, and komquat and galanga. Still working on the fizzy. Will check out the article you are forwarding. Thanks for your supports and updates. Your packing and mother were really superb. Loving my JUN. Easy to purchase, arrived quickly and brews beautifully. You really can't ask for anything more. The Jun scoby arrived shortly after I placed my order. It was packaged securely, easy to handle, and came with a very detailed set of instructions. I was also delighted to receive a sample of the Green Goddess tea which blend, which I used for my first batch. I am now on my fourth batch and I very pleased with the product. The taste is similar but clearly distinct and much smoother than your typical KT. I'm so pleased that Jun is now part of my own little "fermentation station." I am an Australian customer of Hannah's and Kombucha Kamp. I believe I was actually one of the first Aussies to order their amazing heating wraps a few years ago ~ I have also had live cultures sent to me all the way here as I trust implicitly the quality of cultures that Hannah is creating. Hannah has always responded quickly, graciously and with care. The cultures have been awesome and as someone that teaches about fermenting here in Oz I am so grateful for all the work, research and love that Hannah and her husband have poured into their passions. Received my Jun scoby very promptly.It was ready in almost half the time of kombucha. Love them both. Scoby seems to stay a very delicate and pale color which makes husband happy. Although he loves both the KT and the Jun, he did not like to see the dark ooglies in the KT jar. I've been brewing kombucha for only a few months and love it, so I decided to try brewing Jun. Wow! My Jun culture arrived looking fat and healthy, and simple instructions and the green goddess tea blend for my first batch was included, so I had my first batch going within minutes after opening the package. On my third batch now, and this stuff tastes GREAT! It's delicious, kind of like champagne but GOOD for you! My most recent batch using raw coriander honey from a local beekeeper was superb. Not all of my friends are interested in drinking my kombucha, but everyone who has tried it loves the Jun I've made, and already my friends and family are asking me when the next batch will be done and waiting eagerly in hopes that they'll get some. Jun baby grew with the second batch and I can't wait to have more batches going. Thanks, Kombucha Kamp, I couldn't be happier with my purchase. I ordered a jun culture from Kombucha Kamp and was thrilled to receive it so quickly. I brewed my first batch, and am watching the scoby birth its first baby as the second batch brews. My crowd of kombucha-loving friends was thrilled to try jun and declared it delightful! Excellent product and resources on how to use it. I would recommend ordering scobys from Kombucha Kamp to anyone wanting to brew their own jun. It has been a week, my Jun Tea is ready for harvest - it tastes great-nice and bubbly- right out of the spigot! Also, was worried about the HEAT! but it was a fine, plump and healthy scoby when it arrived. My Jun scoby delivered very healthy. There was actually a good sized baby with the order. I was able to start a brew that same day. The flavor is so mellow and smooth no extra flavor is need. I will order from this company again. I ordered a jun scoby and so far I have made 3 batches of him! I love that it is simple and continuous and tastes great! Thank you!! Love the Jun! Thank you so much. Prompt shipping, great information enclosed. The Jun culture made it to the UK in great condition and brewed successfully from the first batch. The Jun is lovely - really fresh and summery and it's quickly becoming one of my favourite ferments. Two years ago my son introduced me to kombucha and vegetarianism and I've never felt so good! With Kombucha Kamp's quality scobys and clear instructions, I can brew and love my own Jun tea! My third batch produced a new scoby and now I can return the love and share my Jun with my son. I am a regular consumer of kombucha and have now I've signed up for Kombucha Kamp classes. I am so excited to meet Hannah and learn more about brewing my own KT! My JUN SCOBY arrived in perfect health and was put to use to make a wonderful JUN brew! Very quick delivery. Oh my! Is this the best? What a great Jun scoby I received! It was thick and beautiful and arrived in record time! Looking forward to many delicious brews! Can I just tell you how super delicious the jun is! My family is addicted. Our 2 year olds not keen but the 3 and 5 yr old love it. Thanks for your great website and offering. Love my Jun scoby from KK. I had everything set up and ready to go when it arrived, put it in my green tea & honey mixture and it starting bubbling right away! Must love the spring water I use and the raw honey from a friend who raises honey bees! Try one, you'll enjoy it! I would be happy to re-order from a customer-focused business like yours. I wish you every success. Oh my goodness Hannah, but you have just introduced me to my new best friend! I opened my first, lightly carbonated bottle of jun today... oh I am so in heaven! Don't get me wrong, I will still make Kombucha, but oh my... the Jun is outstanding! I\'m going to deliver a bottle to a friend to try Monday (ha! if I can keep my hands off it that long) and my second batch is happily doing it's thing on the herb shelf. The scoby arrived so perfect and healthy and wasted not a moment in diving in to that luscious green tea of yours sweetened with local raw starthistle honey. I'm over the moon, happy in love and just wanted to say a huge thank you, cause you can never share a smile wide enough! I'm sure you'll hear more from me soon! I can give a 5 star review for the Jun tea. it's super . I drink kombucha regularly and will gladly add Jun to my favorites. I ordered a Jun scoby right away after reading about it from Nourished Kitchen. Thank God I did, because they're sold out now! Hang in there; they're worth the wait. This stuff is not just good for you; it's delicious! I heard that Jun tastes like dry white wine. To me, it tastes more like apple cider. But, anyway, the scoby I got was very healthy and it made me a beautiful batch straight off the bat. They will reproduce if you let a batch just sit for a very long time. The whole batch will turn to vinegar, but I just use it as a starter for subsequent batches and then I have my new scobys also. I have been making Kombucha for a while and decided to try making Jun. I love the taste difference and now have both versions brewing. The shipment arrived quickly and was ready to go. The instructions included were very clear and worked perfectly. I just wanted to say that I received my cultures today and I am very happy with them. I was worried that they might freeze in the cool temperatures here but they were packed well.Also ,thank you for the reusable tea bags! I love using loose tea so they will get lots of use. I just received my big and beautiful Jun soby from Kombucha Kamp and am thrilled with it.